Station Tap House & Steak CO.
Nick Carter, Leeann Womack, Arlene Dickinson all have graced the stage of the Capitol Centre! The Capitol Centre is the local entertainment theatre where different live performances, movies and other local events take place at this venue throughout the year. 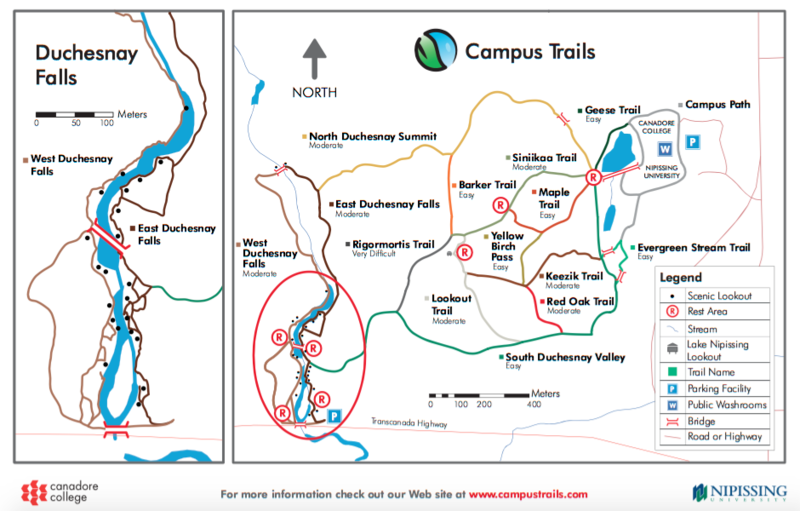 Located just along Highway 17 on Duchesnay Creek, this is the student chosen trail for students to hike through. Throughout the trail, hikers are exposed to beautiful scenery, including waterfalls, trees and much more! A new twist on something to do with friends or family from out of town! The North Bay Escape Rooms offers up to four escape rooms that a group (the number of people depends on each room) can complete different clues with puzzles and combinations to escape a locked room. The local bowling alley here in North Bay offers students and North Bay locals with pool tables and glow in the dark bowling. For anyone in the area, it is guaranteed that Partners will provide everyone with a great source of entertainment to do during the week or weekend! Throughout the City of North Bay, there are different sights across that are a must see! The waterfront is definitely one of these locations. As there are different beaches and walking paths that can be enjoyed or lounging around on the beach enjoying the summer heat. Across the road, the local heritage sites can be found. At the Heritage Railway and Carousel Company, everyone is able to enjoy fun carousel and mini railway rides. Students can also enjoy the North Bay Discovery Museum and the local North Bay Farmer’s Market, if they are looking to emerge themselves into the local history and businesses that the City has to offer! Whether you are a student or a local resident, the City of North Bay has something to offer everyone on those days that you are looking for something to do on your day off or wanting to do something with friends and family from out of town. Many of these places also charge little to nothing so don’t have to worry about your student budget either!